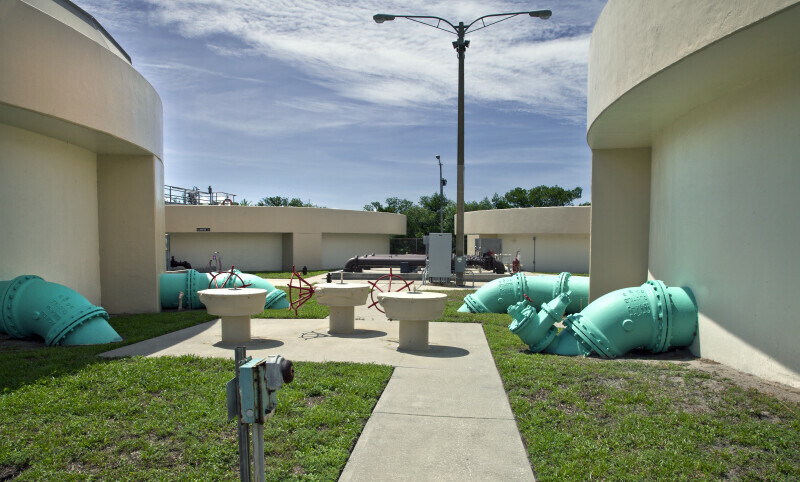 The two tanks in the foreground are aerators and those in the background are clarifiers. Aerators introduce oxygen into the influent and the clarifiers allow sludge to settle out of the water. Aerators and clarifiers are interconnected. The primary flow of influent is from aerators to clarifiers, but a certain portion of activated "seed" sludge is returned from the clarifiers to the aerators to encourage growth of the bacteria and protozoa in the aeration process.